Moms and babies deserve quality healthcare regardless of where they call home! In the most underserved area, there is excellent maternal care. Over thirty years ago, my two daughters were born in an Independence, MO hospital. The first birth was an emergency C-section. It was scary, but I trusted my doctor. Back then, a C-section dictated my second delivery would be as well. I was blessed with two healthy daughters. Recently, my daughters were having babies. At first I was nervous about their desire to have a more natural birth experience. Six years ago, finding a midwife in Kansas City and insurance to cover a home birth was a challenge for my oldest. But her experience was well worth it. My second daughter lives in Georgia and it was even more difficult to find a midwife. She had to travel 40 miles to Savannah to a birthing center providing midwifery services. She felt it was a great experience. Then I started working with an organization in Leawood, KS, Global Birthing Home Foundation. 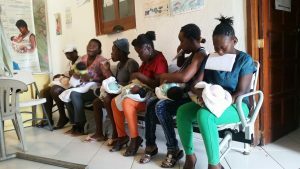 (www.globalbirthinghomefoundation.org) Started by two Kansas City physicians, they support a maternal health and birthing center in SW rural Haiti. Maison de Naissance (“Home of Birth”) provides complete, quality care for mothers and babies. The difficulty of finding and affording a trained professional midwife is far more than ever imagined in the US. A lack of transportation, financial resources, and healthcare professionals and facilities abound. 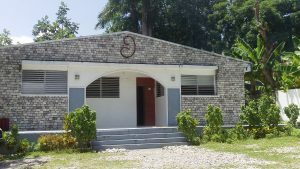 According to the World Heath Organization’s report, less than 10% of women in rural Haiti have access to an obstetric professional. In our zone of service, 97% of women can and have accessed our services. In 2017 alone, Maison de Naissance midwives provided 3,738 consultations, including 322 deliveries, with ZERO maternal deaths. Since opening in 2004, they have performed over 5500 deliveries and still ZERO maternal deaths. I could not help but compare my childbirth experience to my daughters’. After my birth experiences, I strongly desire others to have quality care, regardless of where they live. In comparison to Haiti, I cannot help but be a strong proponent of midwives and quality maternal healthcare. Follow Global Birthing Home Foundation on Facebook for updates, latest baby photos and help us keep this birthing center thriving.